Yes, I promised pictures of Sublime - so here we go. Progress has slowed to what might be considered a more normal pace for someone who works full time (I knit on conference calls though, ssshhh) and still reads a lot. I have also been taken in by the siren call of Spring Fling. Sublime has so far been okay with this splitting of my attentions. 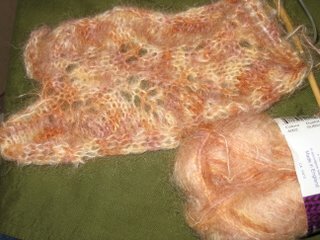 For Spring Fling I am using the TLC Cotton Plus yarn that was such a steady companion for the first project. 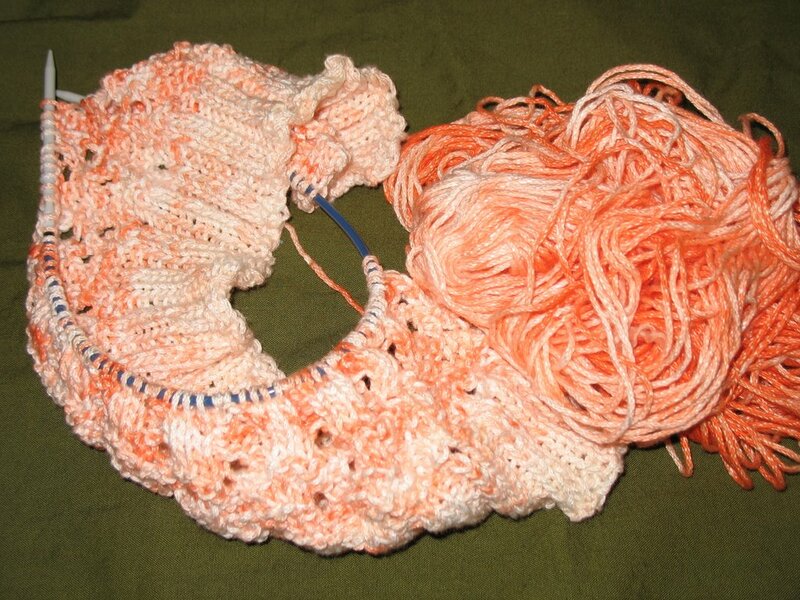 This yarn started off as white but agreed to be the guinea pig in my yarn dying so, with the help of some so-called peach dye, is now a mix of whites, peaches and orange. So far is has been knitting up beautifully. Further satisfying my knitting rebel spirit (who knew knitting would make me so adventurous?) I have tweaked the Spring Fling pattern a bit, using the Waterfall lace pattern, rather than the original ribbing.